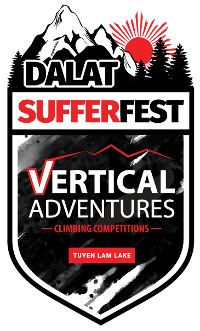 Cuộc đua thứ 1 trong 3 cuộc thi cần tham gia để dành danh hiệu Ultimate Sufferer của lễ hội. Pursuing the joy of Rock Climbing and High Angle thrills one move at a time. Vertical is all about fun and challenging yourself to do what you would normally not have the opportunity to. The facility will be open to walk-ins throughout the weekend day times and reserved for competitors in the later afternoons and evenings. Saturday Preliminaries are for discovering your skill level for Sunday Competitive finals are where you see how you stack up against others in your category. Pioneering in development of outdoor education model for children from 2 to 12 years old in Vietnam; at Konnit Adventure Zone, children are free to create, promote leadership, team spirit, development of good character and physical, loving nature through the activities of skills, science and art from natural materials and outdoor sports. Konnit Adventure Zone provides a playground of experiences for kids so parents can participate comfortably at their SufferFest race of choice without worry. Bring the whole family and share the memories. 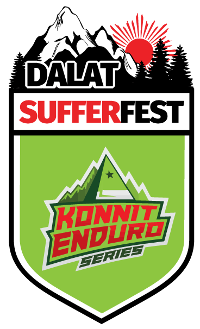 Konnit Enduro Series is for participants from 3 to 14 years of age. 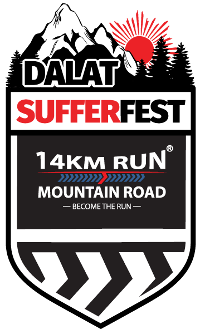 Race routes are from 1 – 2km in length. Athlete may be required to; swim, run, ride balance bike/ bicycle, overcome obstacles and other challenges as they race to the finish line. A few tears from time to time, but the pride and self-confidence of receiving a prize proves the process for kids to personal growth. A childhood memory for themselves and the whole family.